By Clark & Schloss Family Law, P.C. 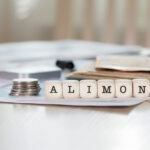 | Published March 29, 2016 | Posted in Divorce | Tagged alimony, convenant marriage, property division | Comments Off on Does Arizona Covenant Marriage Prevent Divorce? By Clark & Schloss Family Law, P.C. | Published March 29, 2016 | Posted in Divorce | Tagged dissolution of marriage, divorce settlements, property division | Comments Off on Can Both Spouses Use The Same Attorney To Dissolve Their Arizona Marriage?